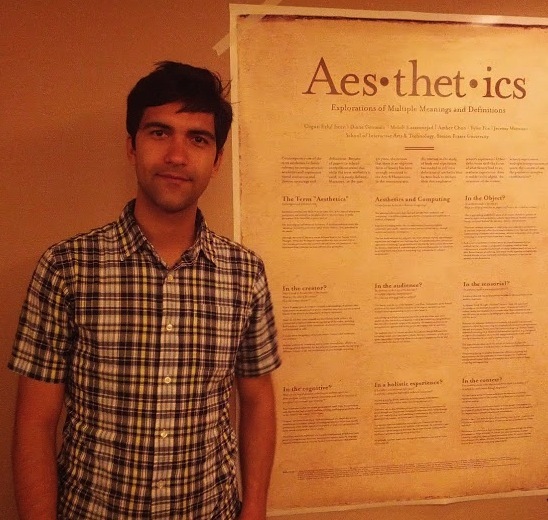 Mehdi Karamnejad presented two posters at co-located venues SIGGRAPH/Expressive 2013. The posters represented the latest research being conducted at the Pain Studies Lab on Human-Computer Interaction, Biofeedback, Game Design, and Social Sciences. SIGGRAPH is one the most prestigious venues for showcasing breakthroughs in practices and production in Computer Graphics and Interactive Techniques.